NORTH TO FREEDOM by Karen Meyer is the story of the escape of two young slave boys, Moses and Tom. The boys take their chance to flee from their cruel owners in Kentucky and make their way to the freedom of Canada. Relying on the assistance of the enlightened folk who provide safe passage, shelter and hide-outs, they find goodness and kindness in many. But who can they really trust and will the slave catchers and their allies (who want the reward) get to them and force them back to Kentucky before they reach safe new lives? Karen Meyer’s story is a well-written and often nail-biting adventure that takes the reader on a perilous journey to reach freedom. Danger and threats are at every turn, but this contrasts with the kindness and bravery of those who are willing to help runaway slaves. North to Freedom takes a poignant look at the horrific abuse and cruelty that befell those forced into slavery in this period of history (1800s). 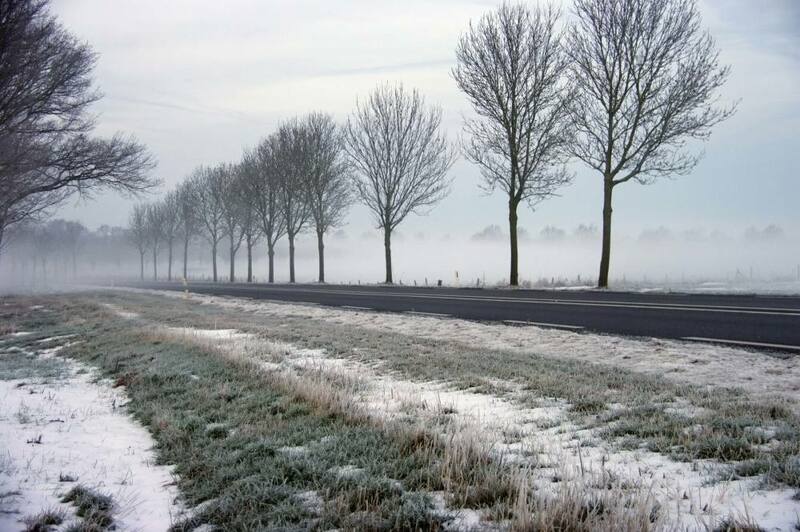 While fiction, it is also a true reflection of the “underground railroad” or passage to freedom that was set up by many and they are included as characters in the story. Meyer conveys the desperation and, at the same time, the faith in God of many who were consigned to live such terrible lives. I loved the characters of Moses and Tom – their determination, bravery and belief in the goodness of many. The Butler family showed human nature at its best and, while the story is about escape from slavery, the focus is very much on the goodness of more enlightened people of that time. This is a book that will teach young readers about slavery through involving them in the plight of the two young characters. It will provoke discussions about the immorality of slavery and enable young readers to reflect and learn. Highly recommended as an important addition to any child’s home or class library. THANK YOU for your great books. Our library system has recently acquired your wonderful books about the Ohio Frontier. I know they will be popular with young readers. I just finished Missing at Marietta, and I must admire your ability to weave early Ohio History with the "story format" that will interest young readers. I am a native of Marietta and marvel at your ability to incorporate real pioneers into the story. fiction, a door opener for kids to tempt them to explore frontier history further. An introduction to the 1880s for children doesn’t get any better than this. 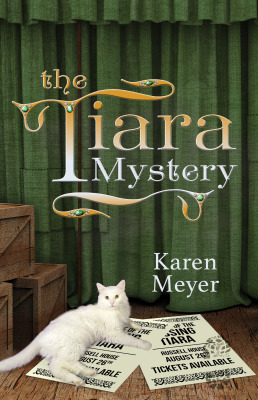 It’s rare to find a historical book that nails research and entertainment equally well, but Karen Meyer has done that and more in The Tiara Mystery. The story’s effortlessness made me feel like I’d stepped into 19th century America for a day, experiencing the accurately shown world of Dayton, Ohio that Claire and her circle lived in. But the mystery didn’t lag behind the solid facts and the endearing set of characters, each perfectly placed against a structured, naturally developed plot, which built the Russell family and their boarders (the elegant German countess, the prim schoolteacher, Miss Green, the bullying Mr. Drummond with his surprise flair for acting, and the rest) into a fun, absolutely real set of people. This is a book I’d pick up more than once and be sure to pass around as well. I PERSONALLY HAVE TO SAY that I love, love, love what you are doing with this project!!! I have read three Simon Kenton books (Eckert, Kenton and Clark-along with hours upon hours of internet research while putting together the Kenton Kin's new website) in the last year, so I have a fair point of reference. 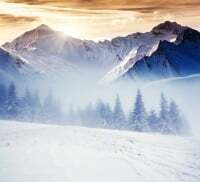 It is easy to see that you have researched your subject well and I appreciate that you are making every effort to keep things historically accurate. Did you know that the Revolutionary War was fought not just in the thirteen colonies? Or that the British supplied the Indians with guns and powder so they would kill colonists who lived in the frontier? Simon Kenton Unlikely Hero: Biography of a Frontiersman by Karen Meyer is no ordinary colonial history book. The story begins in 1771 when Simon Kenton, aged 16, flees his Virginia home, afraid he will be charged with murder. He travels to the frontier where he develops a talent for tracking, path finding and scoping out land. In the process, he takes part in the war and becomes a protector to many pioneers settling in Kentucky and Ohio. Kenton’s fame and influence rises quickly and he assists some of the great generals of the times. He saves the life of Daniel Boone and he survives grueling torture at the hands of Indians, narrowly escaping being burned alive. One reason Simon Kenton is not a household name may be because he never learned to read or write. Karen Meyer did a great deal of research in order to put together his biography. Simon Kenton Unlikely Hero is marketed for grades 4-6, but I think the suggested age should be extended through eighth grade. The history of Simon Kenton is so exciting that it will tempt even the most reluctant student to want to know more. Reading this book first could serve as a great jumping-off point to study the more traditional history of the Revolutionary War (and also the War of 1812). Kids aren’t going to fall asleep reading this one! The book includes questions for reflection at the end of each chapter, frequent clear maps and a glossary for unfamiliar terms. There are a few references to Christian faith as it relates to Kenton and the revival tent meetings that were common at the time. Kenton battles many Indians, but he also protects and respects other Indians. This was a rough time for both Indians and pioneers, and Karen Meyer paints an even-handed portrait of this slice of history. I loved Karen’s desire to teach while telling Simon’s story. I myself had never heard of Simon Kenton so I went into the book as a complete blank slate. The story starts out with Simon as a sixteen-year-old, who’s hot-tempered and running for his life into the wild. He then becomes an amazing scout, military aid, and man of God with hospitality and kindness for all. The text is 100 pages and broken up into twenty chapters. While packed full of information, Karen wrote the biography in both a concise and entertaining manner. *Maps throughout the book to aid in visuals and geographical context. Images to break up dialogue. *Bold words within the text and a full glossary in the back of the book. *Separated sections within the text to provide greater information about a topic. *One reflection question at the end of each chapter to focus on character development. *Full references for more information about Simon Kenton. Some aspects of the book are violent and go into detail about the form of abuse and the wounds. Not overly so, but Karen doesn’t shy away from the truth of the time. I appreciated the forthrightness of her writing. That being said, I agree with the age and grade recommendations. It also would be beneficial to read along with your child so you can have greater conversations if necessary. My husband would have our son read a few chapters each day during the homeschool schedule. I would then read the same chapters that night before I went to bed. I would then check in with him about the chapters read the following morning. What did you find most impressive about Simon’s life? The thing that I found most impressive about Simon’s life was that he didn’t give up after all of the hard things that he had to face. What would have been the hardest part of living during this time period? I think the hardest part would have been to stay safe from the Indians and the British soldiers. What was something you learned about frontier life that you didn’t know before? I didn’t realize it would have been so hard to live during this time. Was there anything about the book you didn’t like? No, I think it was good! I don’t know that I would recommend the book for fun reading, but I think it would be good for a history project. Simon Kenton first came to Kentucky in 1772 as a teen fleeing justice. The land captivated his heart and he dedicated the next 28 years to helping settlers, fighting Indians, and scouting for famous military leaders. When Lord Dunmore picked a fight with the Shawnee, Simon and his buddy Simon Girty carried war messages at the Battle of Point Pleasant. They also carried Chief Logan's eloquent speech to the peace negotiations. When his friend Daniel Boone fell from a Shawnee bullet, Simon lifted him like a sack of grain and carried him to safety. When George Rogers Clark led the daring attack on British Kaskaskia, Kenton played a key role. When captured and tortured by Shawnee Indians, Simon showed remarkable courage and endurance. When General "Mad Anthony" Wayne led an army in the Northwest Indian War, Captain Kenton headed the crew of one hundred scouts. When the Greenville Treaty brought peace and settlement of the Ohio Country, Simon headed to this new frontier. When Tecumseh and his brother The Prophet gathered Indians for a final effort to regain their lands, Kenton rode to investigate rumors and kept the nation advised. When Tecumseh joined forces with the British in the War of 1812, Simon, though not a young man, rode with the Kentucky militia as an advisor. An extraordinary and simply riveting biography for young readers ages 8 to 12, "Simon Kenton: Unlikely Hero" by Karen Meyer is unreservedly recommended for elementary school and community library collections. 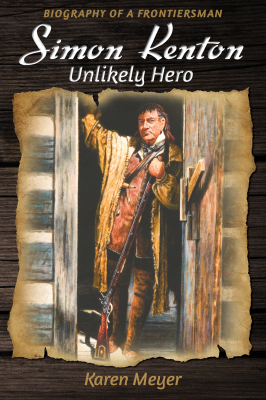 It should be noted for personal reading lists that "Simon Kenton: Unlikely Hero" is also available in a paperback edition (9780999115749, $12.99) and in a digital book format (Kindle, $2.99).